North Korean leader Kim Jong Un reaffirmed his commitment to denuclearization in a letter sent to South Korean President Moon Jae-in over the weekend. The move raises hopes for a positive message in his annual New Year’s Day policy speech to be delivered on North Korea’s state television. Add North Korea as an interest to stay up to date on the latest North Korea news, video, and analysis from ABC News. The two-page letter, stamped with Kim’s signature golden logo, arrived on Sunday addressed to “Revered President Moon Jae-in.” Only the first sentence was released to the public. 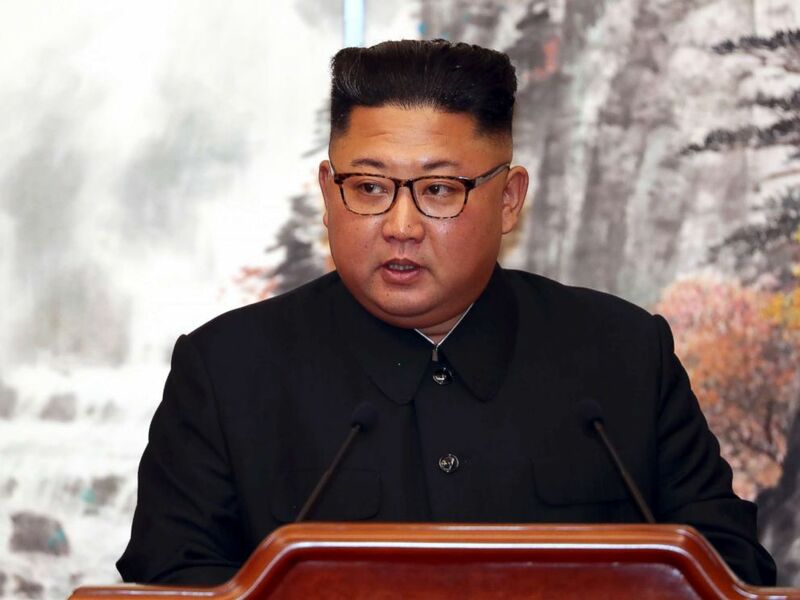 “Chairman Kim Jong Un emphasized the bold step the two Korean leaders have taken to overcome the long-pending confrontation between North and South to meet three times in one year alone,” read the letter, according to Kim Eui-kyeom, spokesman for the South’s presidential office. North Korean leader Kim Jong Un speaks during a joint press conference with South Korean President Moon Jae-in at the Paekhwawon State Guesthouse in Pyongyang, North Korea, Sept. 19, 2018. Moon posted a response on Facebook, saying he “welcome[s] chairman Kim’s intentions” to hold further talks. Moon added that he witnessed a sense of frustration over Kim not having been able to visit Seoul, which the two leaders agreed to during the third inter-Korean summit in Pyongyang this September. President Donald Trump has also expressed a willingness to meet for a second time with Kim in 2019. He also reiterated in mid-December that he wasn’t concerned over criticism about the lack of progress in denuclearization since the two leaders met in Singapore and signed an agreement on June 12. Many people have asked how we are doing in our negotiations with North Korea – I always reply by saying we are in no hurry, there is wonderful potential for great economic success for that country…. ….Kim Jong Un sees it better than anyone and will fully take advantage of it for his people. We are doing just fine!